To Zero And Within: Karunanidhi,Jayalalitha deny election campaign at Chepauk. Vijayakanth offended. Karunanidhi,Jayalalitha deny election campaign at Chepauk. Vijayakanth offended. Chennai.Following the promotion of 'Dum Maaro Dum' in the India-South Africa nail-biter at Nagpur, rumours are afloat that big names in Tamil Nadu politics will promote themselves in the India-West Indies match at Chepauk. With just few days left for the election, socio-political scientist and versatile vaudevillian veteran, Mr.T.Rajendar, suggested that this campaign would define the course of the election. "Cricket matches in Chepauk have always yielded a larger number of people who come to watch cricket," he said, in a very thoughtful tone, before adding, “I think both Mr.Karunanidhi and Ms. Jayalalitha will speak to the crowd between overs and present their cases vociferously. But, Mr.Vijayakanth will be one to watch out for". Despite the smooth interview, Mr.T.Rajendar suffered from a psychological break-down as he couldn't implement his trademark rhyming dialogues in any of his sentences. 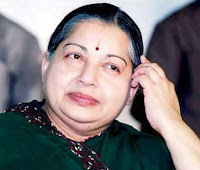 Ms.Jayalalitha, however, vehemently denied the reports and expressed her opinion in an irate manner. “Can’t I even see a match peacefully at Chepauk? I am a huge fan of Indian Cricket Team and using a cricket match as a platform for election is very disrespectful," she fumed. "Moreover, I am sick of listening to Ravi Shastri's commentary and the best way to get rid of that is by watching the match live at Chepauk," she said, taking an unexpected dig at Ravi Shastri. On the lighter side, she answered questions which weren't political quite cheerfully. "Piyush Chawla is my favourite bowler. The way he bowls..you know..I don't know what to say..Umm..His balls are awesome," she stammered, out of unbridled excitement. "I am the only 'Captain' in this country"
Mr.Karunanidhi was an animated figure as he thrashed the election campaign claims by Dubakur Daily as 'preposterous' and 'fake'. He said he had plans with his third wife on March 20th and didn't even care for the match as much as he cared for his hair. But the presence of forty yellow towels on the chairs in the Pavilion stand from March 16th didn't help his cause. However, Karunanidhi was quick to his defence and retorted “I have three wives. Each wife has at least three sons. And each son should be having at least two wives. And each wife must have two sons and a daughter. Now, do the math and tell me if forty seats are enough for them." Mr.Vijayakanth, who has been avoiding the journalists since these claims had sprung up, obliged to give his expert opinion on the matter. "I am not a fan of cricket or football or any team game. If a group of people is led by a person, he should be called a 'Team Leader' or a 'Group Leader' and certainly not a 'Captain'. 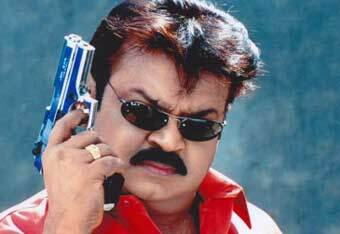 The meaning of the word 'Captain' has been diluted and I honestly feel offended," said a visibly upset Vijayakanth. “I am the only 'Captain' in this country," he thundered at the end of the interview and left for his lunch hurriedly. I hate myself for making a futile attempt at humour on Sir TR. He has had special coaching classes to correct his pronunciations. The Jaya-Piyush part was whooping hilarious!! P.S: Forgive me if this was a little late reply, though couldnt avoid commenting, too good!